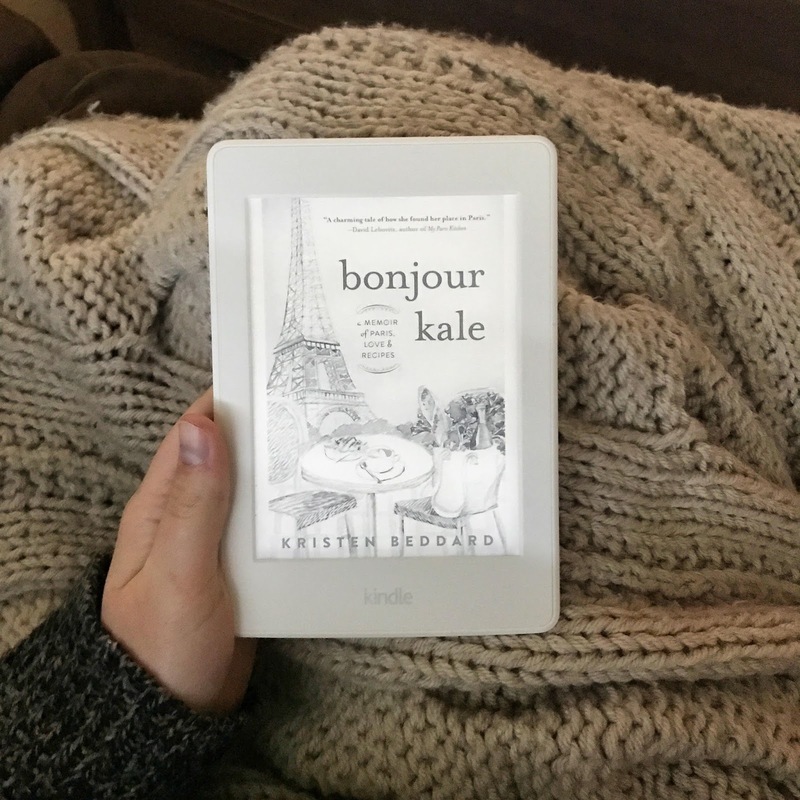 I feel like Bonjour Kale was first on my wishlist forever, then sitting on my Kindle waiting to be read forever. OKAY not forever, but definitely for six months. I check my Amazon wish lists every day for things that may have gone on a drastic sale and one day this was $1.99. Don’t think I’m crazy for checking every day – once I found a $12.99 kindle book for .38! I’m sure it was an accident but I purchased it immediately anyway. I was about halfway through reading this when I decided to get a new Kindle Paperwhite in white. I went to the Amazon Books store in University Village to see one in person and bought it there. It was only my second time in their store and I learned a lot. Amazon Prime members get the online Amazon price for books purchased in-store, while non-members pay the list price. Pretty cool if you’re a prime member! So, on to the book. I really liked it overall. There were a few parts in the beginning where I feel like she was kind of complaining about French quirks or customs, but she very clearly states at the start of the book that she is in no way a Francophile. Kristen found herself living in France with her new husband with no job and no purpose. Back in the US she really liked kale and discovered that it was absolutely nowhere to be found in Paris. No one even knew the correct French name for it! So she started The Kale Project where she found restaurants who would be willing to use kale on their menus and then farmers who were willing to grow it and sell it at the markets, and then made the magic happen. It took several years, but she helped teach the French that kale is awesome and that if farmers grow it, people will pay a lot for it. This book is a fun, quick read, and I don’t even like kale! I definitely recommend it if you’re interested in French memoirs or kale. If you’d like to stay up to date on what I’m currently reading, be my friend on Goodreads.